BatiPlus supervises the second stage of My Bemowo project on behalf of Nexity. You are here: Home / News / BatiPlus supervises the second stage of My Bemowo project on behalf of Nexity. 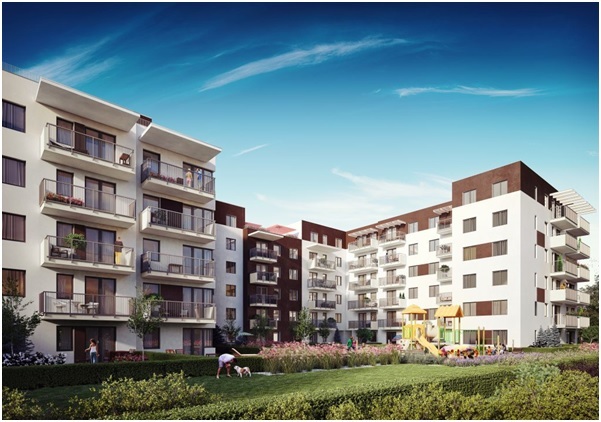 NEXITY continues the cooperation with BatiPlus during the next stage of the residential project “MY Bemowo” at 79 Batalionów Chłopskich Street in Warsaw. The second stage of the investment will include the construction of a 5-storey residential building consisting of 156 apartments with the area ranging from 30 m2 to 114 m2 and an underground car park. The completion of the construction work is planned for the III quarter of 2017. More information on “MY Bemowo 2” project may be found at http://mybemowo.pl/. The NEXITY’s decision to pursue the cooperation confirms the great trust of the Client in the technical team represented by BatiPlus.